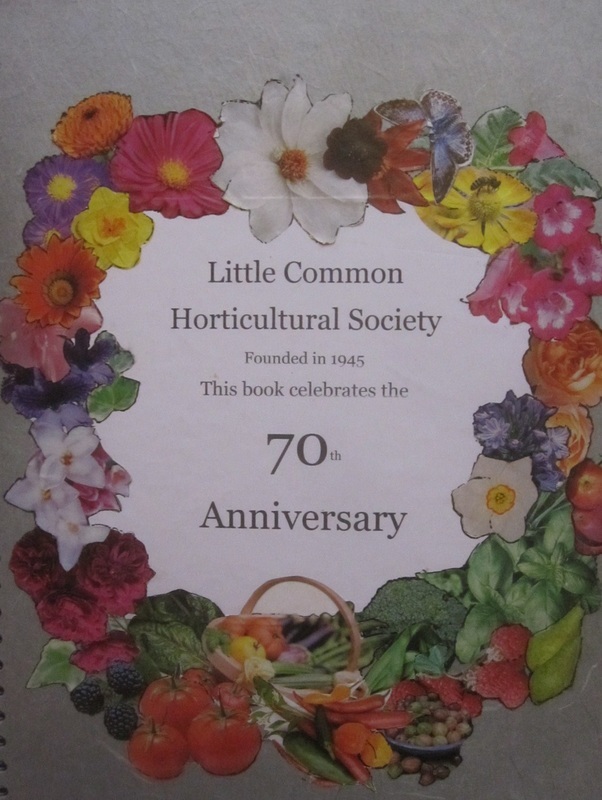 The story of Little Common Horticultural Society has been researched by our Archivist, Margaret Steer, who has created a scrapbook containing memorabilia and documents of interest as well as photos and other items. These will be on display at our 70th Annual Show. Our earliest information is from the notes of Mrs Rosemary Andrews who was a member of the original committee of the Little Common Community Association which was founded on 12 June 1945, chairman Mr Sainsbury (later Lord Sainsbury). Its aim was to show appreciation to returning service men and women and war workers generally. Membership was 2s 6d p.a. (12.5p). The Horticultural Society was formally founded on 23rd December 1945 when the first meeting was held under the chairmanship of Mr J E Maynard. At that time it was called the Gardening Group and meetings were held at St Mark's Institute. A talk on 'Roses' on 12 March 1946 was attended by 30 members and by 1950 there were 150 members. Until 1954, the Annual Show was held in a tent on the Recreation Ground as part of the LCCA Fete & Sports Day. In the same year, the name was changed to the Little Common Gardening & Floral Group and meetings and shows were held in the British Legion Hall. The building of Little Common Community Centre was completed in 1958 and the society began to hold its meetings at a rental of 17s 6d (87p) per meeting. 1958 also saw the society's first outing which was to RHS Wisley. In the 1960s, the society began the precursor to our current Plant Sale selling members' produce for a percentage commission and also a bulk purchase scheme for resale to members. Curiously, given their modern ubiquity, the first Coffee Morning was not held until 1968 when it made a profit of £38 12s 2d (£584). As 1970 was the society's 25th anniversary, Silver was the theme for the Annual Show. The society was so successful in the 1970s that it had to close membership ( around 340) and introduce a waiting list. This may or may not be connected to the introduction of wine-making as a category. The attendance at some meetings was between 170 and 200, which would run foul of fire safety nowadays. 'The year started off well with talks on chrysanthemums and then wild birds in our gardens, both very interesting. Also, there were 43 names on the waiting list and it was agreed that the first 21 should be admitted'.